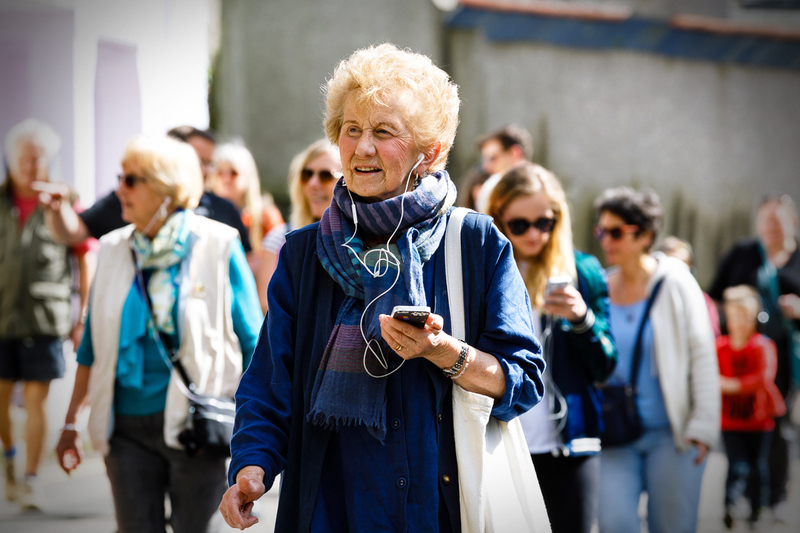 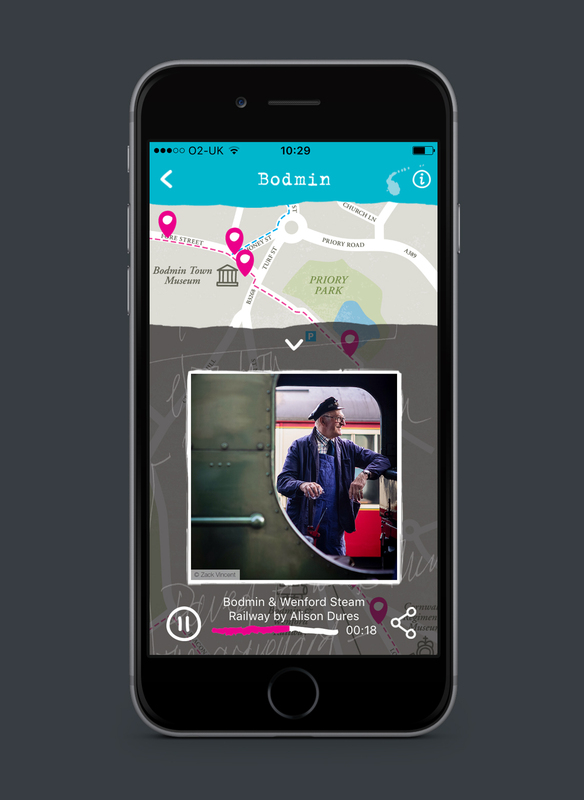 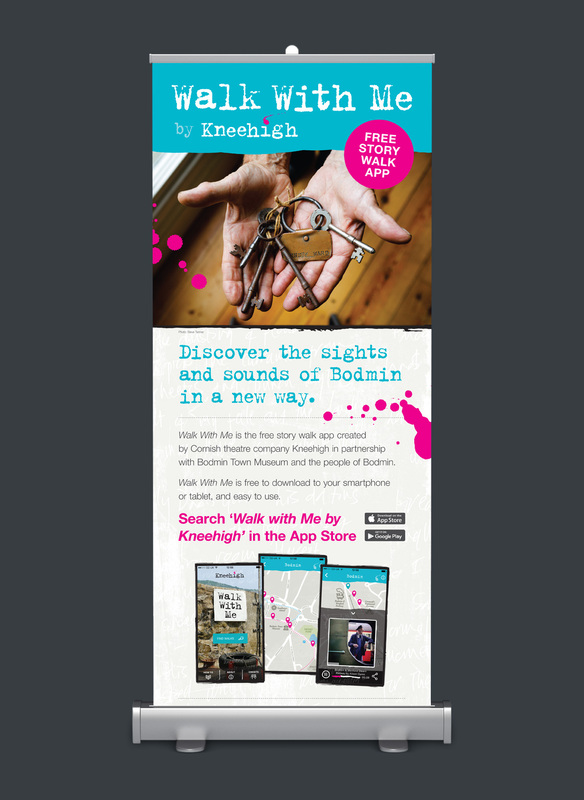 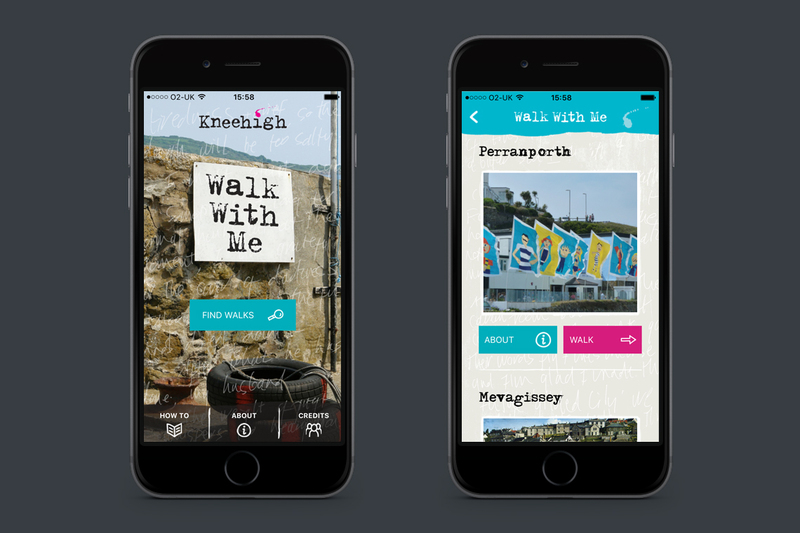 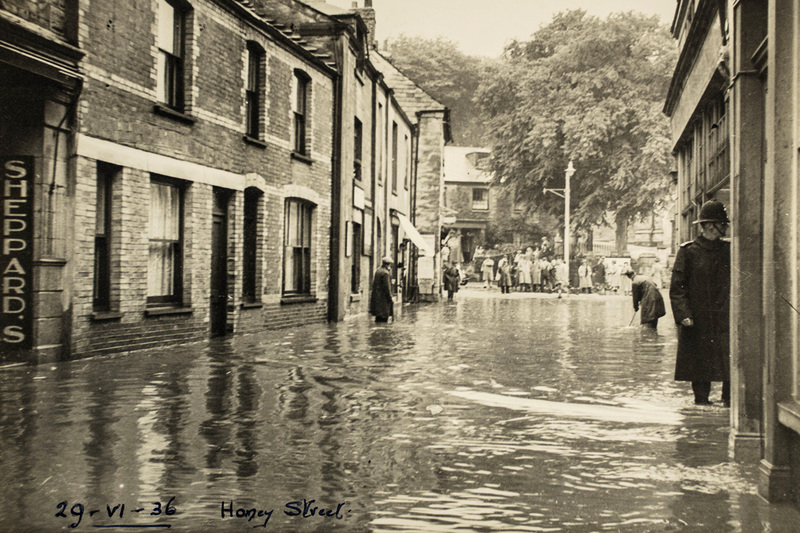 Walk With Me is a ‘story walk’ app from the Cornish theatre company Kneehigh, built by Bristol-based Calvium. 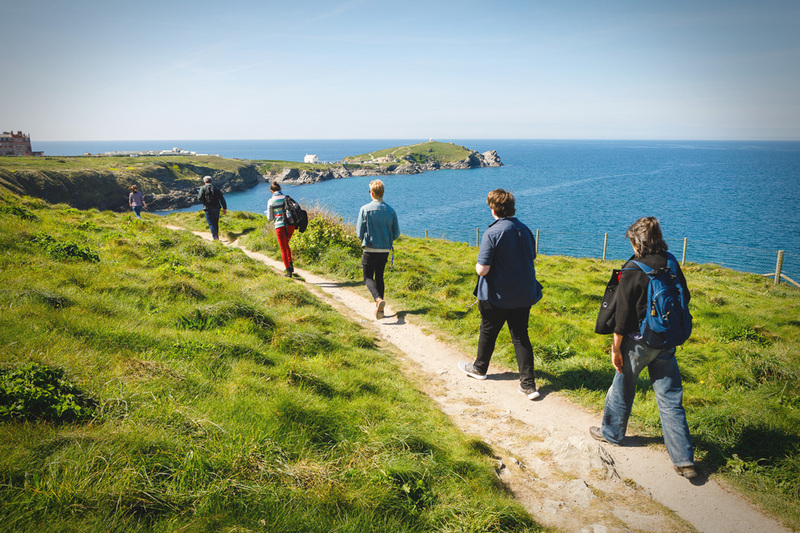 There are six guided walks around Perranporth, Mevagissey, Newquay, Great Flat Lode, Bodmin and Helston. 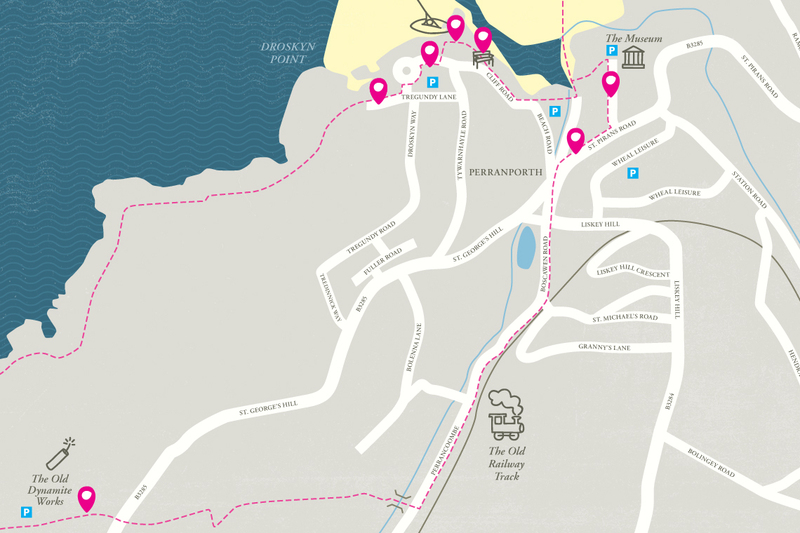 Each walk contains a collection of funny, magical and moving local stories, film snippets and photos. 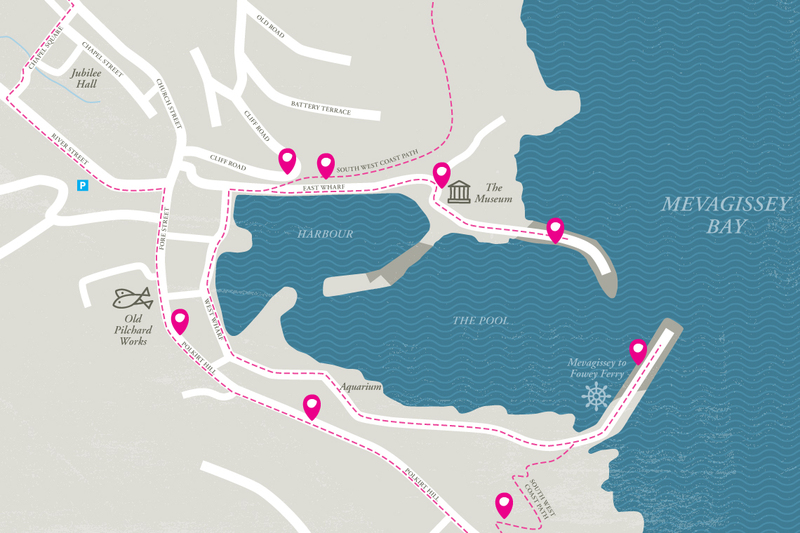 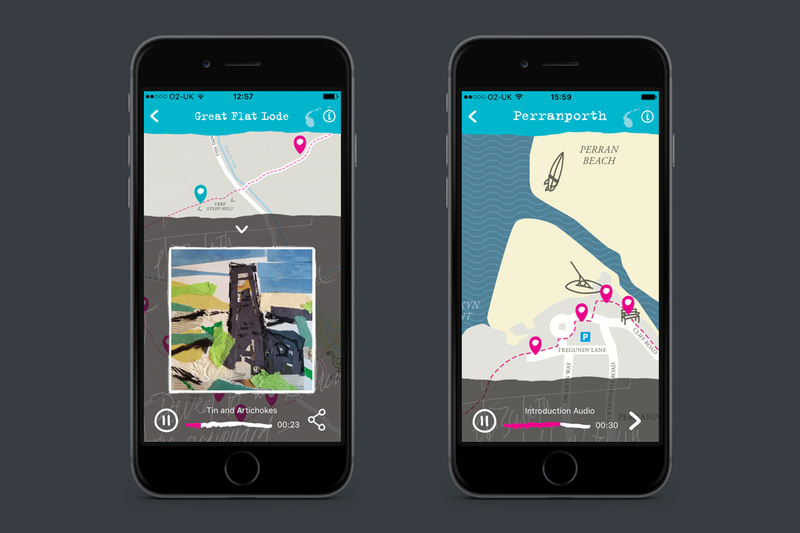 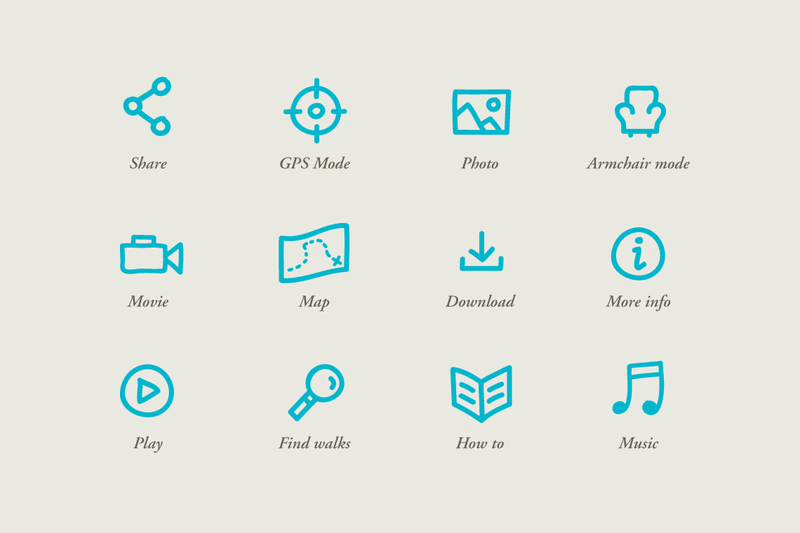 Studio AB designed the app, including bespoke route maps for each walk annotated with illustrations and icons.